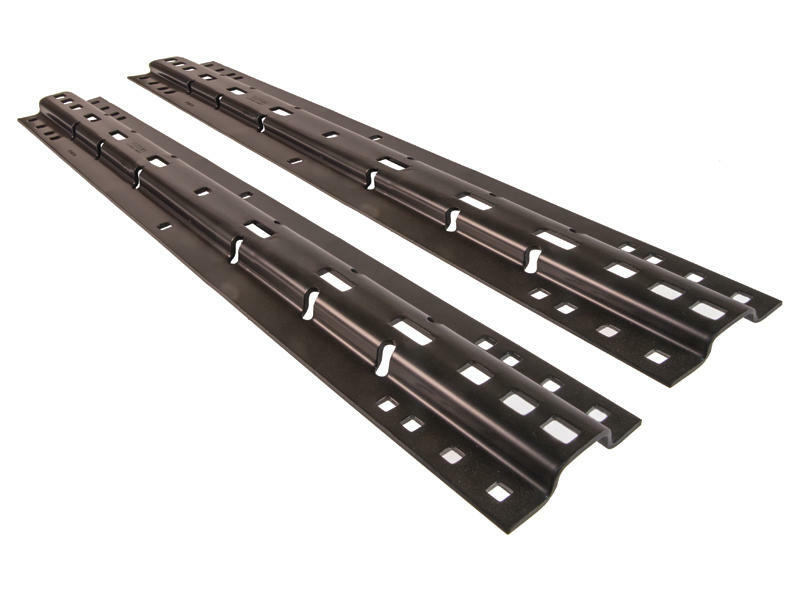 Husky base rails to accept a fifth wheel or a above-bed gooseneck hitch. Can be used with Husky 4-bolt or 10-bolt Universal Mounting Bracket Kits. 10-bolt kit is recommended when used with fifth wheels or goosenecks rated over 16,000 lbs. Mounting bracket kits are sold separately (see below). Rails can also be used with Husky Custom Bracket Install Kits. Do not used with Tow Ready/Reese Custom Bracket Kits. Works with most above bed fifth wheel hitch that have a stance of either 20-1/2" wide x 22" front to back measurement OR 29" wide x 22" stance. For above bed goosenecks, they would go into the 10" x 22" slots instead.